Android is easily the most popular smartphone platform, but it has not yet been so successful on tablets where it competes with the iPad. The sales literature around an Android device might mention that it runs Jelly Bean, Ice Cream Sandwich, or Gingerbread, which are the different versions of the platform that are released add it evolves. The potted history of Android below, attempts to place each of these into context. For such an important part of our modern day-to-day lives, the Android platform in fact has a very short history - written by Android Inc. and acquired by Google in 2005 for $50 million in "the best deal [they] ever made." Initially it was for mobile phones. Like many other platform ("Operating System")s, it is based on a cut-down version of the common - and free - Linux Operating System (OS). Android is also distributed free of charge. It doesn't take up much space on the device and it has an application library which is now called the Google Play Store for downloading new apps. Perhaps partly because its open source, techies tend to prefer this platform. Smartphone users have been impressed too. For each major version of Android, Google now collaborate with a hardware manufacturer to produce a "Nexus" device which runs on the plain "Vanilla" version of the platform. 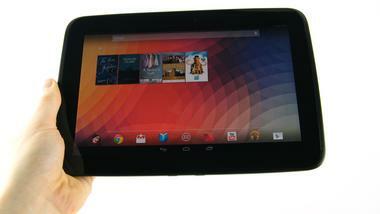 The Nexus 7, released in mid 2012, was, for the first time a tablet - built by Asus. Other manufacturers later add features to the basic platform giving it a "skin" which is sometimes called a UI (User Interface). The platform has evolved quite fast so that devices can be bought now which run one of a number of different versions. This introduces some confusion for users and means that some Apps will work differently on different devices. The problem is known as fragmentation. It is exacerbated by Google's attempts to police who gets access to the Play Store (which is the way to access and download apps while using Android). A device has to conform to a number of specifications before it will be allowed official access. In many cases, the Play Store is instead loaded unofficially by the seller or the buyer. This isn't a desirable state of affairs. Here's an outline of the different Android versions that you might encounter. Version 4.1 Jelly Bean (released July 2012) - Android versions have names as well as numbers. They seem to have afternoon coffee connotations. Compared with the earlier version, then, Jelly Bean (JB) adds something called "butteriness" which is meant to imply that graphical transitions between applications or home screens are more "buttery" - and it is fairly convincing. There's also improved access to notifications, to the camera, and to Google Now and Google Voice searching. 4.2 ( November 2012) This minor addition to the Jelly Bean release coming on the new Nexus 10, below, has added one very significant feature for business users - the option to have several discrete user profiles on a single device. For those who might be considering bringing their own tablet to help with their work this change makes a real difference, meaning that potentially confidential work files can be kept separate from the images and games that might be used by other family members. (The practice of buying your own tablet for work is known by the acronym BYOD - Bring Your Own Device.) But for the PR people, the big news is called PhotoSphere - a kind of all round photo mosaic thing. And one more goody - is gesture-typing. This puts into the core platform a feature that has bee available as an add-on (from suppliers like Swype or SwiftKey) for a while where you slide your finger over the keyboard, lifting off between words. I've been using this for around a year now and it does make a huge difference offering real competition to the physical keyboard. 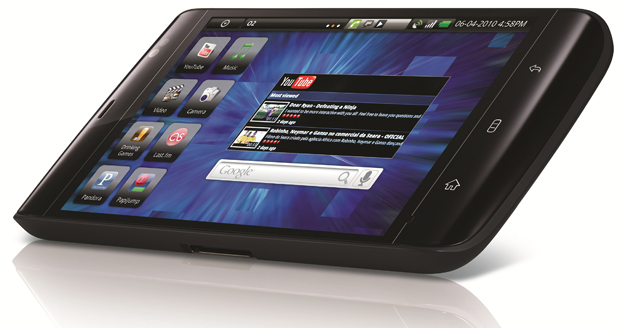 4.0 Ice Cream Sandwich (ICS - November 2011). This release apparently bought a Grand Unification between phones and tablets. (Sorry Albert.) That means it spells the end to the separate development threads of Gingerbread (for phones) and Honeycomb (for slates). Really, this meant making many features available on phones as well as slates. Physical buttons were made redundant by a set of three buttons at the bottom left of the screen: Home, Back and one to list running and recent applications. Within apps, these buttons can be minimised. At times, an extra application-specific menu button is added. Other apps, unfortunately, have a different menu button at the top right. Top in PR stories at the time of release featured a facial recognition system which was meant to replace PIN or pattern swipe type screen locking. 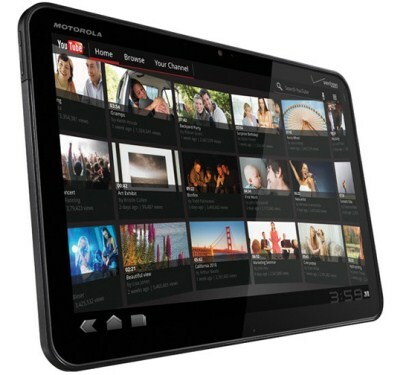 3 Honeycomb (released February 2011 with the Motorola Xoom) This is the first true tablet version of the platform making much better use of a larger screens. 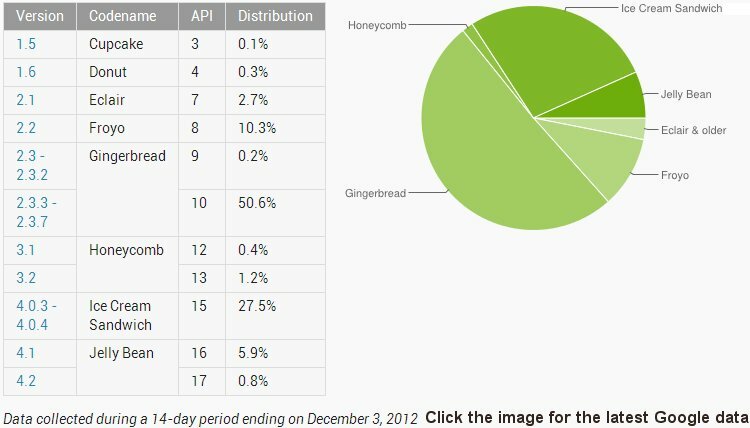 Most offerings from big brand manufacturers that initially came with Honeycomb installed later got an update to Ice Cream Sandwich. The cheaper machines generally did not. If a machine you're considering buying second hand now, was originally supplied with Honeycomb, it's worth checking whether there is an official, or unofficial update available for it, and if that update has already been done for the actual example you're looking at. 2.3 Gingerbread (December 2010) It added improved copy and paste, built-in Voice over IP (VoIP) for Skype-like calling, and Near Field Communications (NFC) for making small purchases like sandwiches. 2.3.3 is the commonest flavour of gingerbread currently being installed and has just become available for the Samsung Galaxy Tab. 2.3.4 First available on the Nexus S, it added video and voice chat to Google Talk. In another step towards replacing the PC, Android added significantly improved support for USB devices including many flash memory sticks, digital cameras, games controllers, MP3 players and the like, as well as the basic keyboards and mice. This means you should be interested in whether the tablet you're thinking about buying has a USB host socket. WiFi Hotspotting. Using this, the Froyo phone or tablet can become a WiFi hotspot allowing devices (for instance laptops) which have WiFi but not 3G to access the Internet via the Froyo hotspot. In a similar way, they can gain Internet access through a USB connection to the Froyo device - this is known as USB tethering. The bigger step though is allowing the Froyo device to act as a hotspot. Carriers can and do charge to use the function. 1.6 Donut ( September 2009)The original Dell Streak was released with this version of Android, and updates took a very long time to arrive. Dell has now all but abandoned the Android. And here's the current state of play - with a surprisingly large number of devices - mostly phones - still running Gingerbread, dating from 2010.